NRF’s Big Show in New York is the very best time to catch retailers – but with so many people attending in such a frenetic few days, you can’t leave engagement to chance. The McDonald Butler Team have been attending Retail’s Big Show for over 10 years and are trusted by UK retailers and suppliers to advise on how to focus the engagement of a UK operation in New York and how to strike the right balance between formal and informal over the course of the conference. It’s not just about the content of the programme and the quality of introductions; MBA can create a truly meaningful and memorable experience. Dovetailing with the high-spots of the convention itself, we build associated events to capitalise on each day and emphasise the value of networking among peers. McDonald Butler offer a range of services to IT retail vendors from an end-to-end fully managed programme and pre-arranged 1-2-1 meetings to our famous After-Party and Survival Kit. If you are a vendor and are looking for a unique branding and awareness building opportunity amongst the retail community at NRF then we are pleased to announce we have a number of options available to sponsor our party this year. As in previous years, we expect a stellar line-up of retailers to attend in 2019 to provide a great networking opportunity for any retail technology vendor. This year we had representation from Arcadia Group, Compass Group, Debenhams, Dixons, Dunnes Stores, Halfords, House of Fraser, JD Sports, John Lewis, Levi Strauss & Co, Marks & Spencer, New Look, Ralph Lauren, Tesco, Waitrose and Wickes among others. Without the benefits of sponsorship, vendors are also able to purchase tickets to our famous After-Party where you can engage both retailer and influencers in a more relaxed environment. Find out more information about our After-Party. Interested? Want to speak to our experts and learn more? 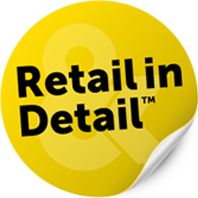 If you are a retailer interested in any events or services, we would be happy to speak. Please fill in the form below and one of our retail experts will contact you.